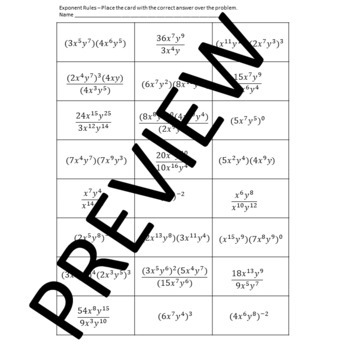 Students will have a sheet of 24 expressions that need to be simplified using exponent rules. Students need to simplify each expression and cover the expression with the correct simplified expression (answer card). 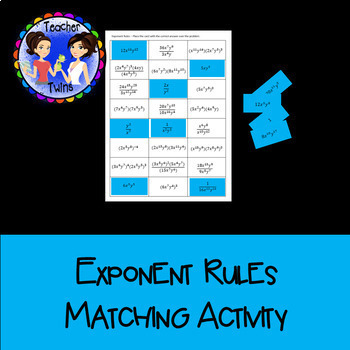 This works great with groups, pairs, or as an independent task.